by-products content (DCP/MCPD) in order to obtain more and more environmental friendly products while maintaining wet-strength resin performance. Since the early ‘90s PAAE resins for wet resistance have had a technical development mainly linked to the reduction of chlorinated organic substances from the processes of hydrolysis of epichlorohydrin, better known as DCP (1.3-dichloro-2-propanol), mCPD (3-monochloro-1.2-propanediol) and AOX (absorbable halogenated substances). 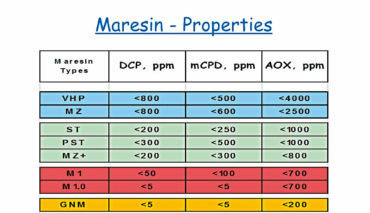 We then moved from defined first generation resins, where the content of the chlorinated by-products had values higher than 1,000 ppm (typical values from 4,000 to 9,000 ppm), to second generation products (values of by-products <1,000 ppm) such as the Maresin MC and VHP series. 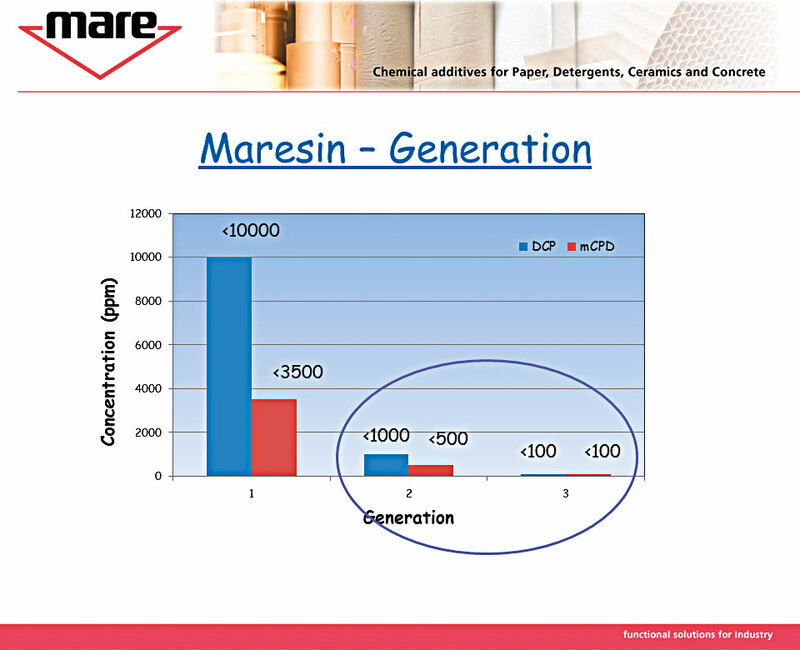 To meet the need to reduce the environmental impact of our products, since the 2000s, Mare has proposed a series of products classifiable as generation 2.5 on the market. The treatments to which they are subjected have allowed a strong reduction of the AOX content without neglecting the performances. These include the Maresin series ST, PST as well as MZ +, the latest technology of our research and development laboratories. The application in the food industry for the production of special papers, such as teabags and coffee filters, has led to the development of the newest third generation PAAE resins, where the contribution of pollutants is less than 5 ppm. 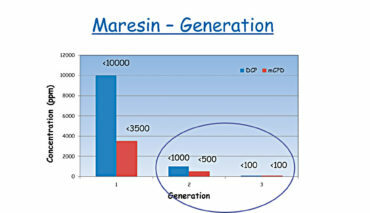 Maresin M1 and M1.0 belong to this category. Mare, more and more attentive to the environmental impact in the use of chemical products for the production of paper, has implemented the current production system with new technologies, obtaining new fourth generation PAAE resins where the content of halogenated absorbable substances (AOX) is lower than that of third generation products. Maresin GNM is proper to this category. In parallel to the PAAE resin purification process, research has focused on improving its performance, optimizing the kinetic and thermodynamic aspects of the production activities. Plant investments, such as the automation of the manufacturing system, have allowed us to guarantee a high quality standard, also improving production capacity. 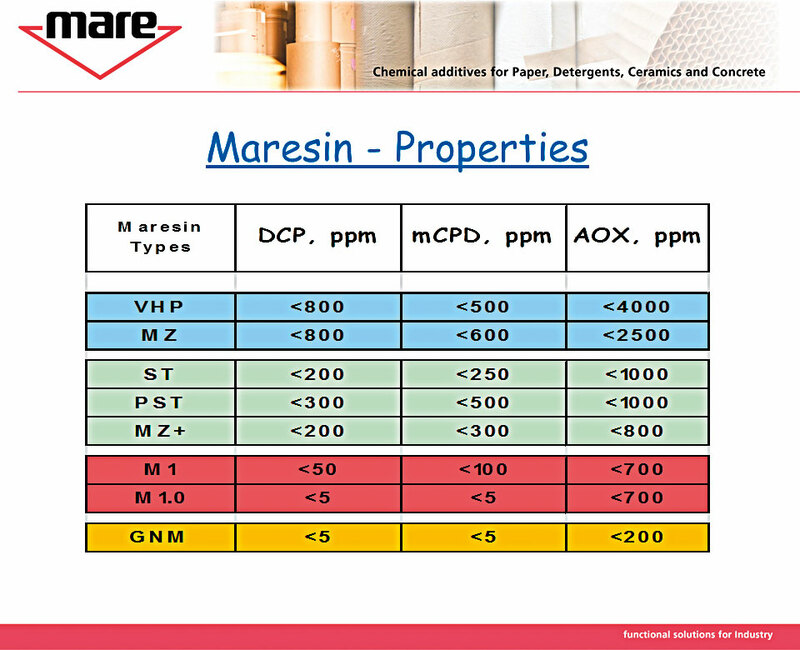 Through the constant and continuous development of our PAAE resins, Maresin series, Mare was able to obtain a wide range of products in order to satisfy all the technical requirements that the paper market requires for paper production. In particular, for the production of Tissue papers coming in contact with food-stuff, MARE has developed an advanced portfolio of products able to meet the most advanced regulatory requirements such as BfR (Bundesinstitut für Risikoanalyse), FDA, D.M. 21/03/1973 and subsequent amendments and the China GB 9685-2008 Standards, without forgetting the RAL-Umweltzeichen, Nordic Swan and EU Ecolabel requirements. One of the objectives of MARE is to constantly develop and improve its products, to always be in line with the needs that the market and our partners propose, with particular attention to the environment. 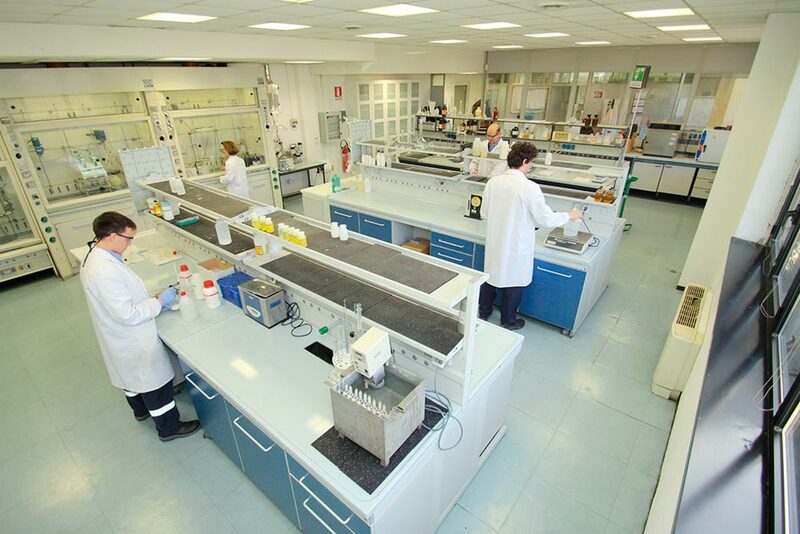 Our R&D and commercial staffs are ready to assist and deliver the best possible solutions.